The peak of the cherry blossom season for western Japan unfortunately happened while I was in Korea, but I caught the tail end, at least. The statue is of Jizō, the bodhisattva dedicated to saving the occupants of hell. (Bodhisattva, figures from Mahayana Buddhism, are enlightened beings who postpone ascending to nirvana in order to help others achieve enlightenment.) Jizō is considered to be the guardian of babies and small children, in particular. The idea is that when a baby dies, the only karma it has accumulated in this life is that of causing its parents extreme sadness, thus its soul goes to hell. People who have lost a baby or a toddler will put the little one’s favorite cup or toy by a statue of Jizō, to help guide the lost and frightened spirit. 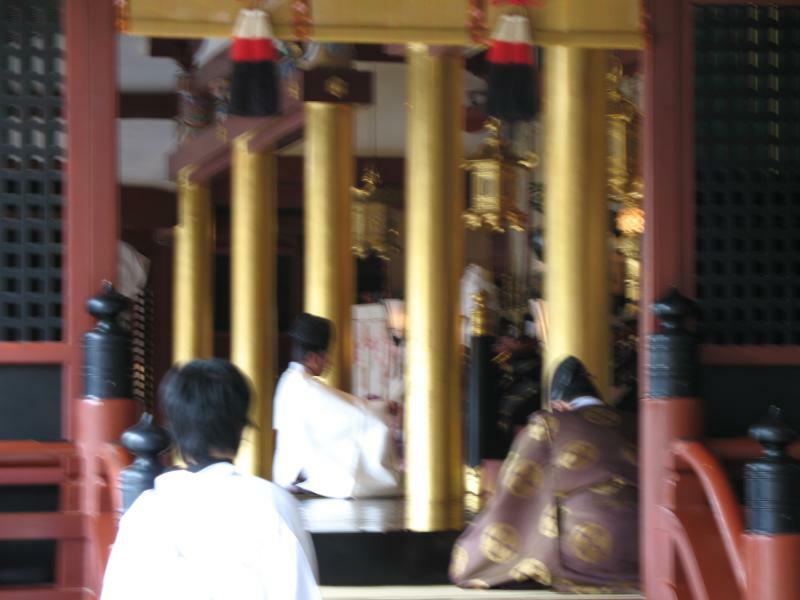 Jizo hides the child in his robes to protect it from demons and recites mantras that confer merit to the listener. 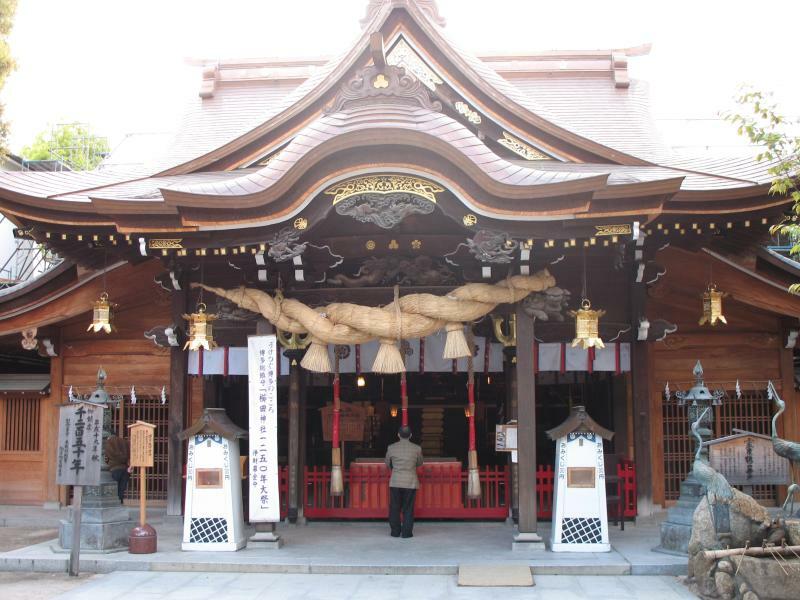 The statue is in the oldest temple of the Shingon sect of Buddhism, although most of the present buildings are new. But what do we have here? Look familiar? I can actually read this one – with the help of a dictionary anyway. 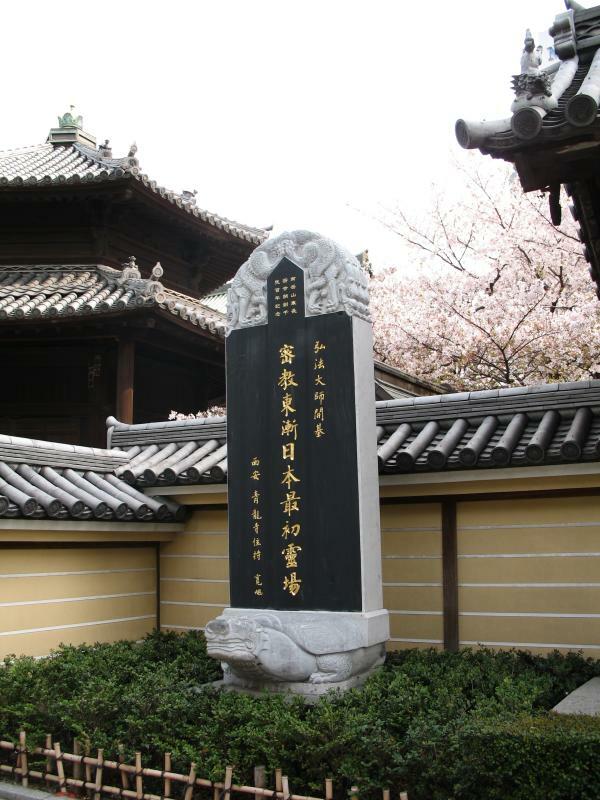 It was presented last year by a temple in Xi’an, China, where the founder of Shingon studied as part of an official envoy from Japan. 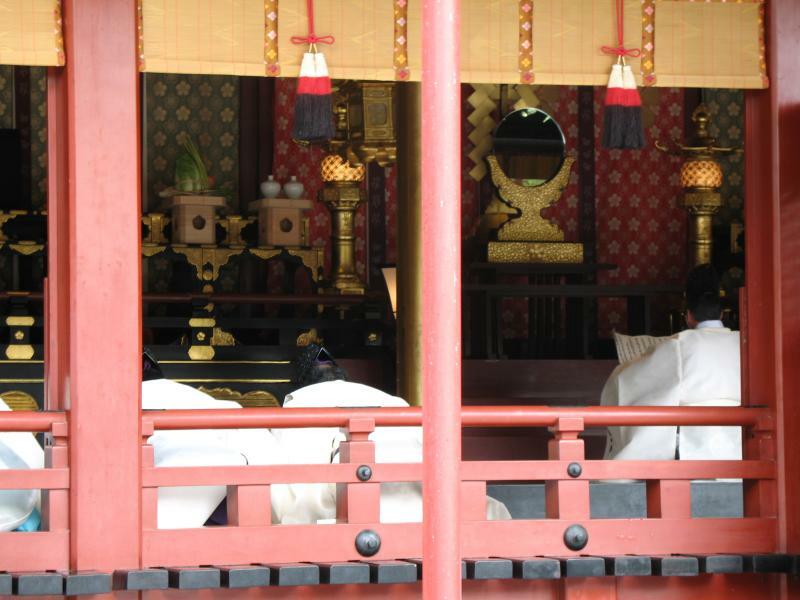 It commemorates the 1,200th anniversary of the Japanese temple’s founding. To complement the venerable temple, here’s an even more venerable shrine. Half a century more venerable, anyway. 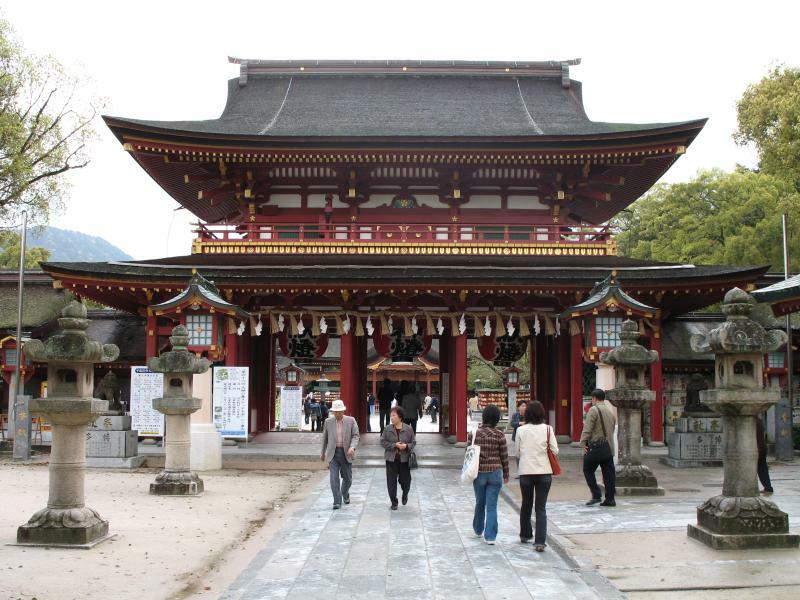 This is Kushida Shrine, founded in 757, although it too mostly has new buildings. 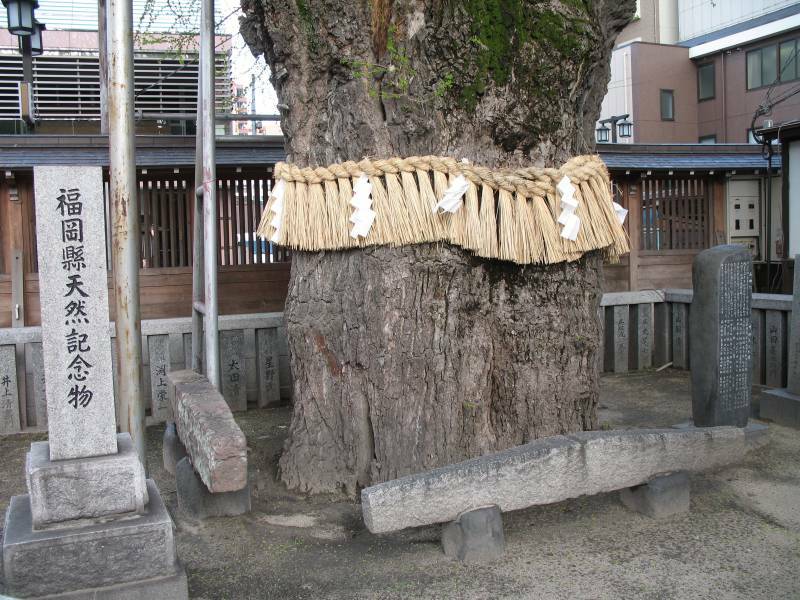 On the shrine grounds is a one thousand year old ginkgo, under which lie anchor weights from the attempted Mongol invasions of the 13th Century. These two invasions failed due to massive typhoons that destroyed most of the Mongolian fleets (or rather, the conquered Chinese and Korean fleets). The storms were dubbed divine winds – kamikaze. While I was in Fukuoka, I spent the better part of a day visiting the town of Dazaifu, a half hour train ride from the city. Dazaifu was the imperial administrative center for Kyūshū for five hundred years, starting from 663, but today it’s a fairly quiet, semi-rural suburb of Fukuoka. Despite its importance, since it was so far from the capital – Kyoto at the time – a government position in Dazaifu was considered exile. Most famously, the scholar and court official Sugawara no Michizane (845-903) was sent to a minor post in Dazaifu after being slandered by his rival, the powerful Fujiwara no Tokihira. Following Michizane’s death a few years later, drought and disease swept through the country and a series of storms ravaged the capital, during which lightning repeatedly struck the main audience hall at court. People concluded that these disasters were the work of Michizane’s angry spirit. His titles were posthumously restored, he was deified as a storm god, and two shrines were built to appease him, one in Kyoto and one in Dazaifu. This is the Dazaifu shrine. A ceremony was underway when I visited. I turned off my camera’s flash and took a few quick pictures. A shot from the side, unfortunately a little blurry. 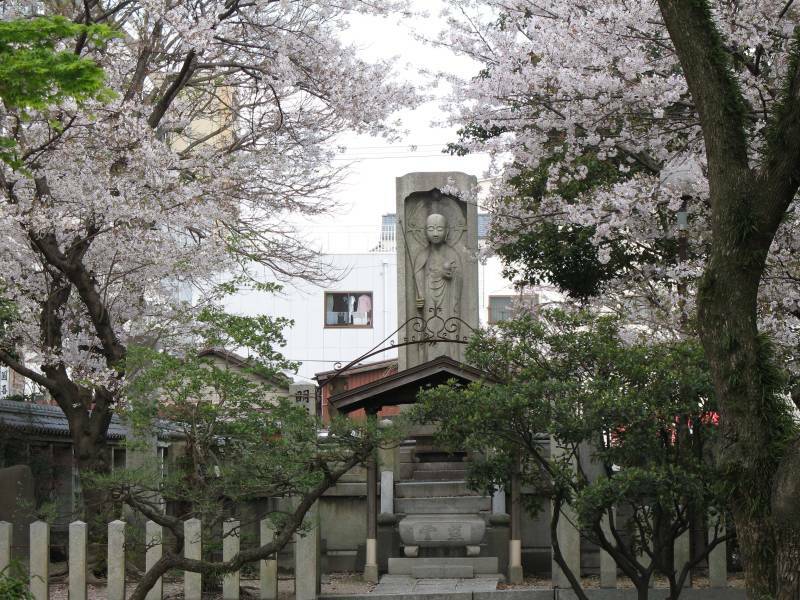 Centuries later, people remembered that Michizane had been a distinguished scholar and poet, and Tenjin (his name as a kami) came to be regarded as the patron of scholarship. Today, there are shrines to Tenjin all over Japan, and many students visit them before taking high school and university entrance exams. Near the shrine is a quiet little temple, founded in 1273 by a member of the Sugawara family. The building itself is so unassuming that it would be easy to overlook, but its small garden of moss, rocks, and trees is really beautiful. Perhaps unsurprisingly, this is a Zen temple. They always seem to have the best gardens. Hey, look at me. I finished my Fukuoka entry in half a week, not half a month. Shocking! This entry was posted on June 23, 2007 at 9:27 pm and is filed under Japan, Travel. You can follow any responses to this entry through the RSS 2.0 feed. You can leave a response, or trackback from your own site. wow, Kevin – what wonderful photos and great history lessons. I’m glad you got to see at least the tail end of the cherry blossoms. Your first photo of them is beautiful. I did not at all know about babies having to go to hell – I am so glad there is Jizo!! And yes indeed, that Zen temple garden is really something. Did it feel as quiet and serene as it looks? The garden was as peaceful as it looks, although I only lingered briefly, since it was past lunchtime and I needed to get something to eat. ahh, yes – food is a must! On my second look, I noticed more how the Zen temple is quieter and more connected to the outdoor surroundings (blending in with the woods etc) than the other shrines/temples. Is that the case, and the norm, with Zen temples? Not necessarily. 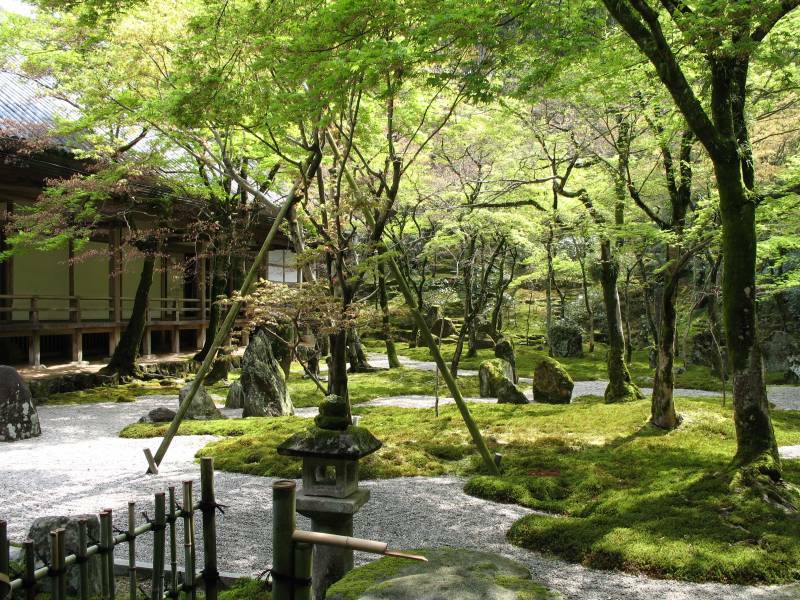 There are a few Zen temples that are pretty monumental in construction, although they do usually have lots of trees on their grounds, and I’ve never seen one without a garden. Thanks! And best of luck with your Japanese studies. It’s a difficult language, but if you keep at it it’s not impossible.